The start of the year is a major time for various government deadlines. Apart from the hassles of taxes, there's a wide variety of government permits and certificates that we all need to get at one time or another. As part of my company's own roster of required documents, I found myself in need of a local police clearance certificate as part of other requirements. And as a Quezon City resident, most folks will point you in the direction of Quezon City Hall in terms of getting one. Before heading down there, I tried to do my own research online in terms of what steps I'd have to go through in order to get this processed. A lot of the guides seem to contain the same information, but I figured I could improve on their efforts with a few added details to improve things. Allot 2-3 hours in your day to get this done, not counting travel time to get to QC City Hall. A lot of guides to getting police clearance forget to indicate where the Police Clearance section of Quezon City Hall is. You have to understand, QC City Hall is not a single building, but instead it's a complex. 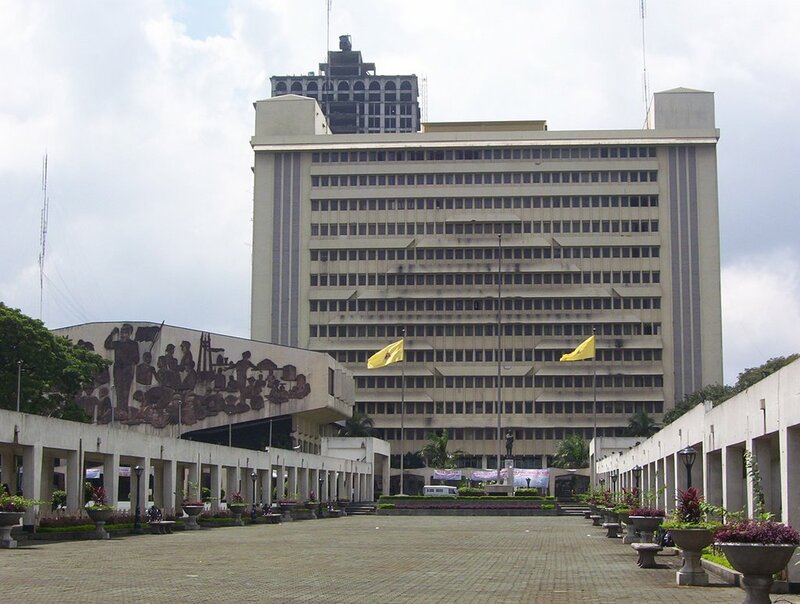 Most folks will try to get down in front of Quezon City Hall and walk in. In truth, you're better off going to Kalayaan Avenue and getting off at Gate 5 of the Quezon City Hall complex. You're on the right side of Kalayaan Avenue if you turn in coming from the Quezon City Circle. In the map above, the yellow line roughly indicates the path from Gate 5 to the Police Clearance section (blue dot). And no, you can't bring a car down that road, so either find alternate parking or consider commuting for the day. 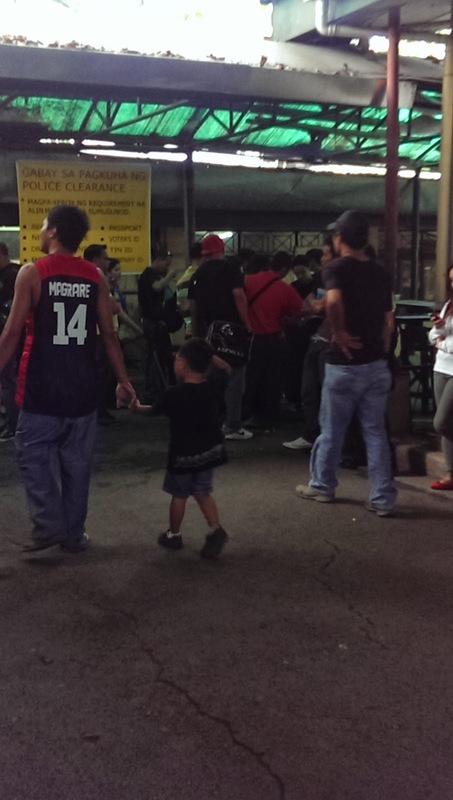 The Police Clearance section is tucked down a bit of an alley that is right beside the larger NBI Clearance building. 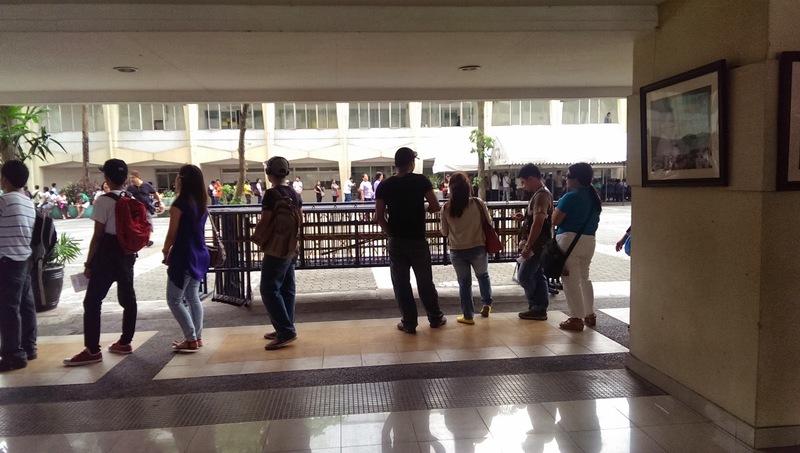 Don't get intimidated by the crowds - most folks are lined up along the street for NBI Clearance. Getting your police clearance is a 7-step process. It sounds simple, but it's not all that happy. Look for Window 1 all the way down the alley, towards your left. You will see large signs indicating this is Step 1 and there should be 1 or 2 windows processing things. Here you will present your photocopy of your ID to the clerk and she'll attach an application form to your photocopy. Be sure to have your original ID on-hand in case they request to see it. If you forgot to photocopy your ID, there's a machine closer to the main road. There are some bar-type tables set up against the opposite wall that you can use to fill up the form. If you forgot to bring a pen, there are vendors in the area who are more than willing to sell you an overpriced pen. The form includes boxes for your fingerprints - do not worry about this. You will actually do this in Step 5, so just fill up all other fields. Go to Window 2, which is right beside Window 1 in that corner of the area. You'll present your completed form and they'll prepare a payment request form. This is a small piece of paper that you'll present to the City Treasurer's Office so you can pay the necessary fee. If the clerk does not do it for you, be sure to write your name on the payment request slip before proceeding to the next step. I'm assuming that you are applying for Local Police Clearance for Local Employment. If you need it for other purposes, the fees may vary. 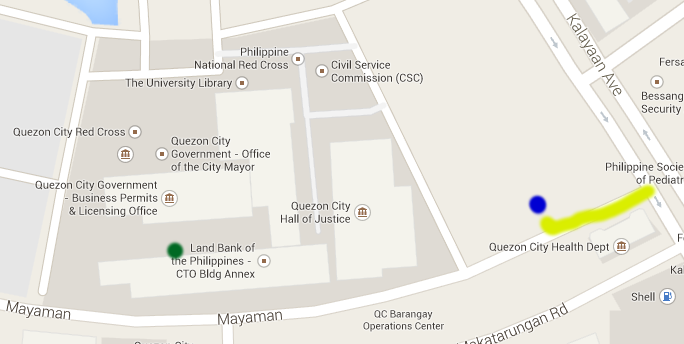 You'll now need to queue at the City Treasury Office (CTO), which is the green dot in the map that I posted above. Yes, it's a bit of a walk and this is where everyone pays pretty much anything related to the city government, so sometimes the queues are light and other times they're heavy. You'll see a tent right outside the CTO proper with seats where the queue should be. On bad days, you'll see the queue going around the area, so just follow it to the end and wait your turn. 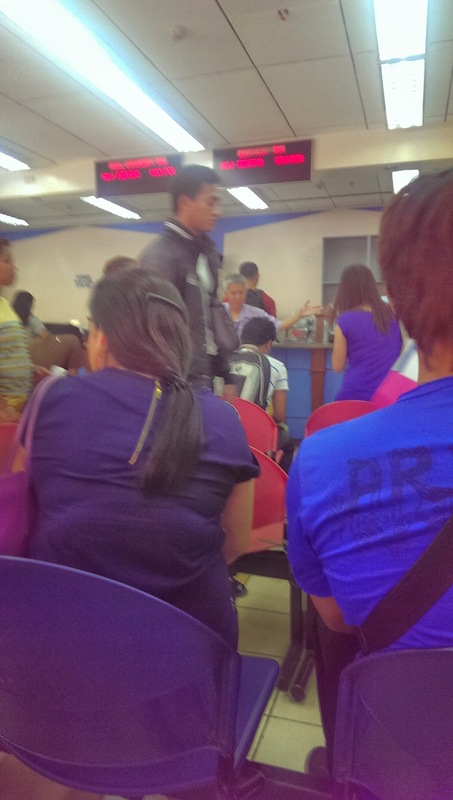 This was the horrible queue when I processed my clearance. Here you will pay only P100 - this is the first of two payments you will make today. Remember, I said that you needed to prepare P250 in total for your payments today. Head back the Police Clearance section and look for the guys at blue pedestals in the middle of the area. They should be more or less in front of Windows 1 and 2. They will process your fingerprints on your form and will immediately offer to sell you a single wet wipe for P5. This is terribly overpriced, so you're better off if you bring your own as suggested above. You need to clean your hands before you can proceed to the next step. You're going to pay an additional fee of P150 now for the actual Police Clearance ID. Apart from the typical police clearance certificate of before, you also get a little ID card that can count as a valid ID. This is not optional. The queue to Step 5 is set outside the room above. The guard on-duty will let you in by batches of 5-10 people at a time, so the queue will not appear to be moving except in short bursts. Be patient - you're almost done. And the next room is air-conditioned. When you do get inside, you'll find yourself in a small room with two windows for making payment. Present your completed form and your receipt from the CTO to the person at the window. They will encode your name into the system so be sure to watch them to amke sure they spell your name correctly. Immediately to your left is another room and a series of benches (if you can call them that - they're really basic planks of wood on struts). Get in line and follow the little daisy chain as it snakes around the room. You'll eventually get called to one of the 6 counters based on the sequence you entered the room (not the sequence you made payment). It's a little confusing since the counters are numbered 1-4, then there's 5-A and 5-B. I don't know why they chose to do this. The encoder will now ask you for your basic information even though it's probably written on your form or on your photocopied ID. Once they've finished typing, check what's on the screen to make sure all details are correct. Then they'll take a quick photo with a webcam and have you sign your name digitally. The will also get scans of your thumbprints for both thumbs repeatedly. Once all that's done, you're in the clear. Step 7 will send you back outside into a holding area that turns out to be behind the NBI Clearance section. You'll have to wait for someone to emerge with batches of completed certificates. Pay attention since the person tasked to do this has been at this all week and they don't exactly shout. Success! 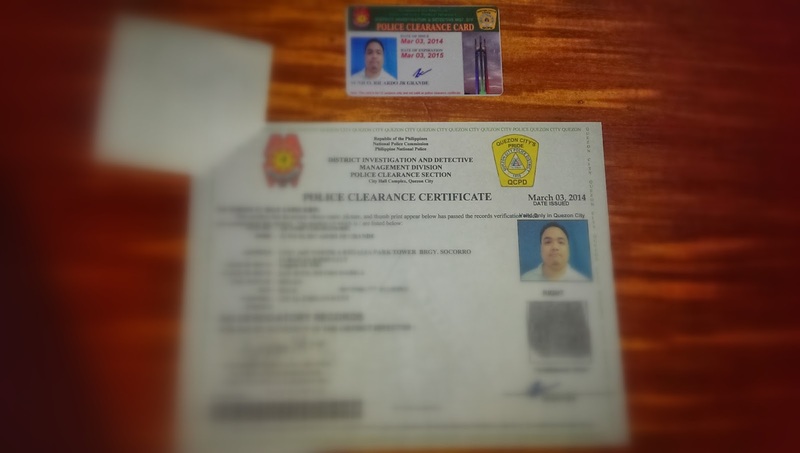 You now have your police clearance certificate and your police clearance ID! This is valid for one year after date of issue, so you're spared another 365 days before you have to go through this all over again. Thank you so much for this informative Blog! I really want to collect more Government ID's, so I can say that I'm a civilian of RP. hahaha! Anyway, My question is. About the ID, can I present Postal ID instead? Some department does not accept Postal ID's. I just want to make sure if I can present my cheapest ID. HAHAHA! And how about the Police ID? Should I be the one to request or is it together with Police Clearance Certificate? This is thorough and helpful, thank you. :) I've just prepared a valid ID showing my proper address. Will go for police clearance tomorrow. PWEDE PO KAYA YUNG STUDENT ID? THANKS! thanks sa tips and guides sa pagkuha ng police clearance. mabuhay! Hi! Bukas po ba yan tuwing Saturdays? Hi! Just an update. You need not go to the Treasurer's office anymore (Step 3) for payment of the Php100 fee. You just have to pay it at Window 3 (which is located in the Police Clearance Section). Hope this helps! hi! pwede bang birth certificate ipresent? i dont have any valid ids as of the moment e.
Hi po..pwede po ba kumuha ng police clearance na waland I'd?pwede po bang merrage certificate ang dalhin?expired na po kasi lahat ng valid I'd ko..tnx po..
anu poh schedule po open sa pagkuha ng police clearance? Ano po requirement pag renewal? Sana naman dun sa P250 na babayaran namin hindi lng 6 months valid ang police clearance. Saka napakamahal naman mas mahal pa sa NBI wala naman kami paggagamitan ng ID card na yan sa dami na naming ID. 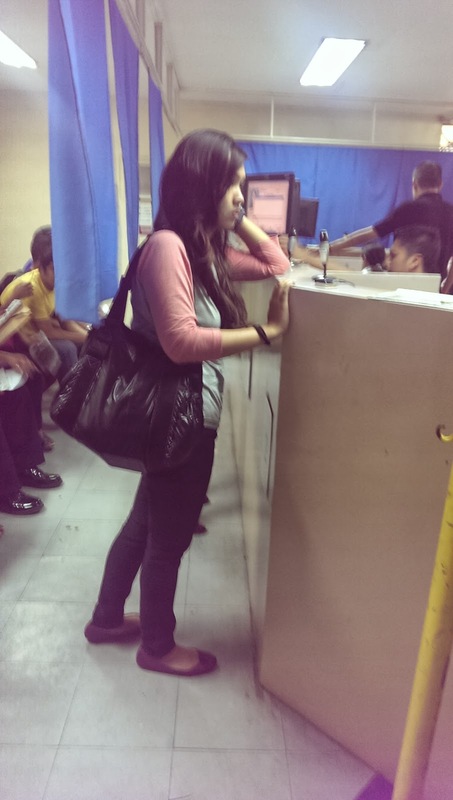 Pano po pag magrerenew ng police clearance id? Ano requirements at kung may babayaran ba? HELLO PO SAN KO MAKIKITA YUNG POLICE CLEARANCE NUMBER? 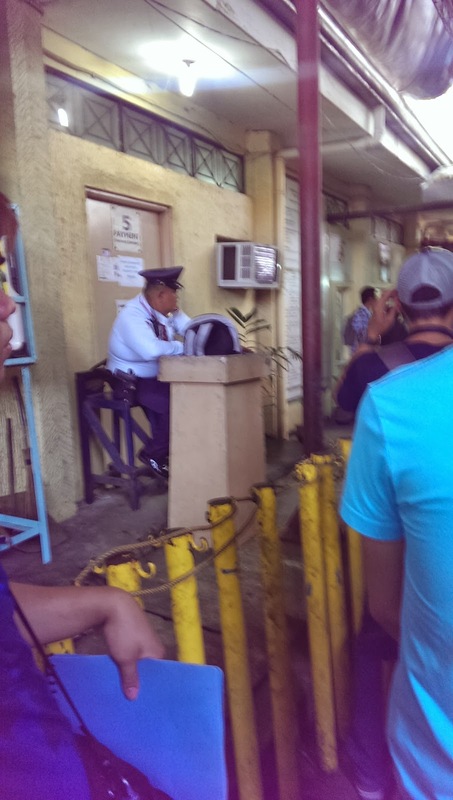 Pano ko po ba makikita ang police clearance number?